The Indonesia Forest Honey Network (JMHI) has managing forest honey for 13 years starting from 2005 until present. Currently there are eleven members of the network with total honey hunters joined are 1.157 people and total potential of production of forest honey are 100 ton per annum. 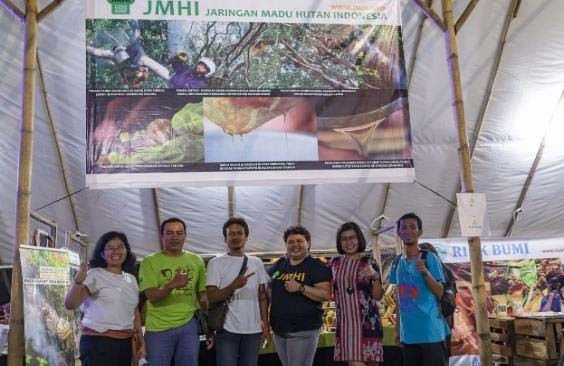 The members of JMHI are distributed in some large island around Indonesia, such as Sumatera, Kalimantan, Sulawesi, Sumbawa, Flores, Timor and Java. By larger potential supply of forest honey product with variance color, taste and unique of each areas, it make marketing forest honey are potentially to be developed and spreading around Indonesia. In the couple years almost all of JMHI members has their own production house at community level. The production house in the community village make them easily to create a different packaging of forest honey product with low moisture content in honey. The marketing of forest honey are promising because presently healthy life style of urban community are increasing and they need a healthy food to support their activity and style. 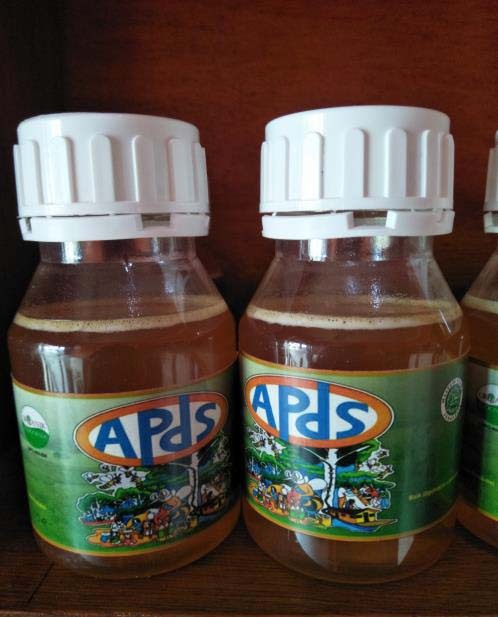 The generated income from forest honey of Apis dorsata gas given positive impact to the forest conservation in which by protecting bee habitat could save the continue of forest conservation. It because forest bees is an active pollinator that pollinate forest trees. The pollinated of tree flowers also support to wild live animal where they also depend on the forest fruits. On the other hand, the community of forest bee hunters who gain benefit from the forest also active contribution for forest protection. The JMHI members also contribute for forest conservation where we also replanting bee nectars tree in the forest area. For example honey hunters in Danau Sentarum West Kalimantan has planting more than 10,000 trees of bee nectars in the ex-fire area inside Danau Sentarum. This platform will be used by JMHI to marketing their forest honey direct to buyer or customers. This platform will be use to give a concreate data related to forest honey supply, harvesting time and other information related to forest honey. So the buyer will be easily get information related to JMHI forest honey product. This activities will be conducted in the local and national level joined with strategic partners. The purpose of join exhibition is to promote about the important of forest conservation through forest bees as a pollinator which is keeping healthy forest. Other think this programme is to encourage many people to drink forest honey for their healthy life. Beside that the exhibition will use a media to promote forest honey products from JMHI members. This media will be used for campaign about connection forest protection and forest bee habitat. This campaign will be conduction at the elementary schools close to forest area. It purpose the children will be understanding about important of healthy forest for their life and future.